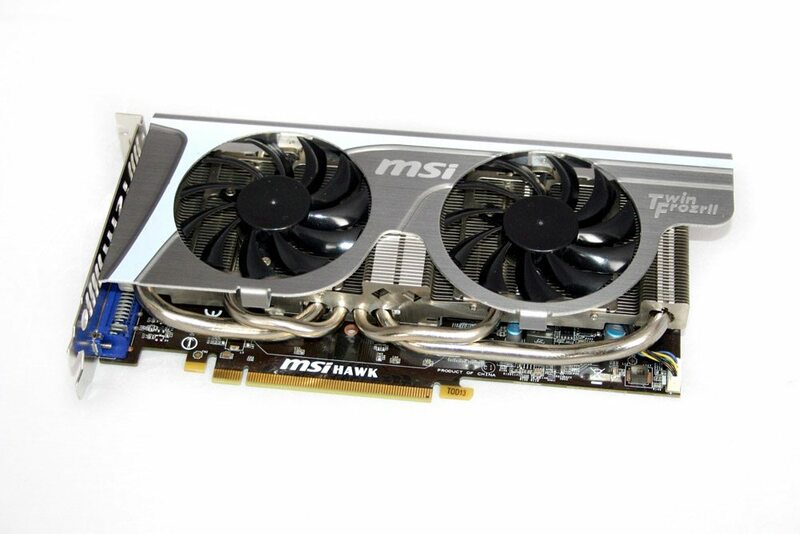 This certainly is quite an interesting looking card. The cooler is a twin fan setup with heatpipes all over the place; though not a sight of copper anywhere. 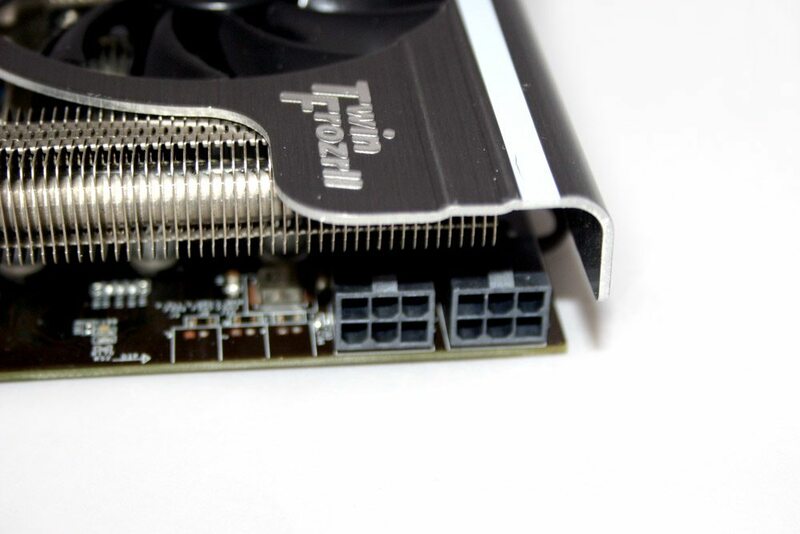 There’s four in total, feeding heat from the core to the outer edges of the fins, allowing for more efficient cooling. The fans are black and coaxial in design fulling air straight onto the heatsink that’s half hidden beneath the brushed aluminium shroud. 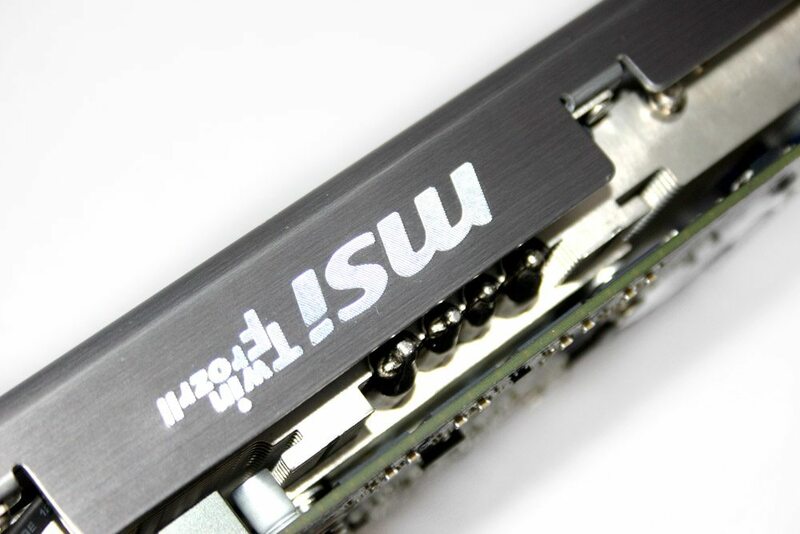 At the front end, there’s a pair of 6pin PCIe power connectors. 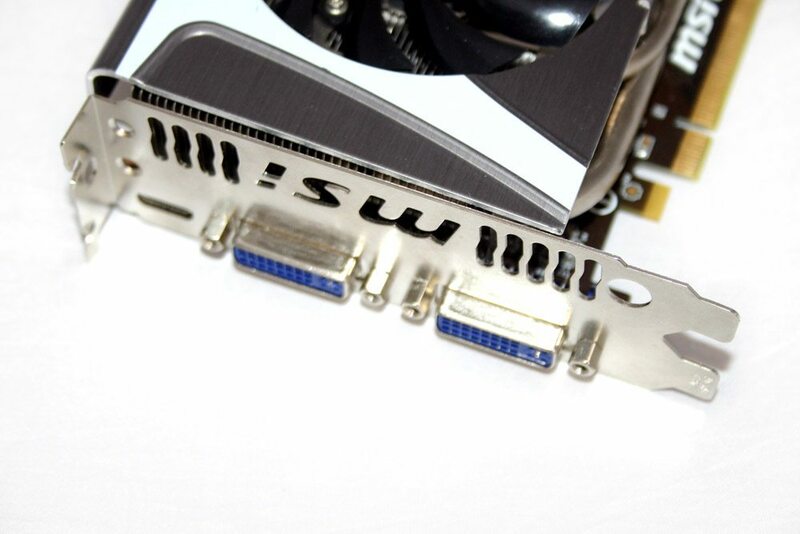 The rear has a single SLI bridge connector allowing you to hook two of these cards together for added performance. All the heatpipes are capped quite neatly which shows some nice build quality. 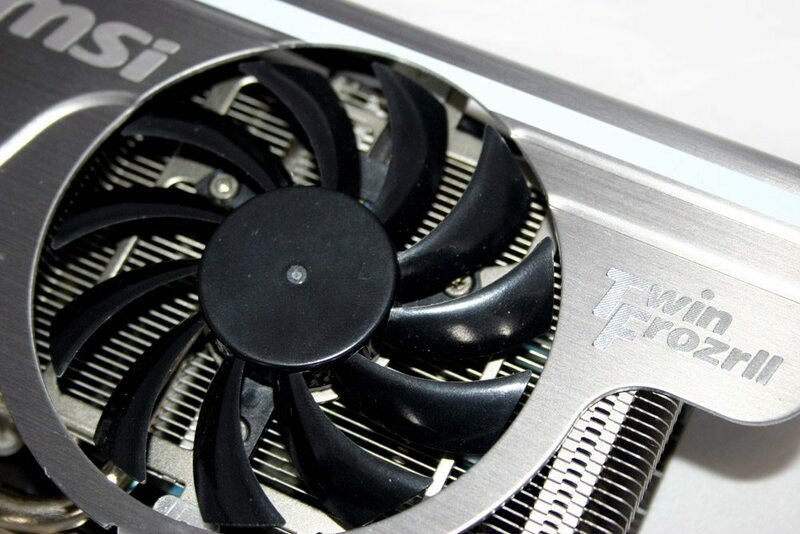 Despite the larger, potentially heavier cooler, the mounting is the same as a standard card keeping things nice and low profile. 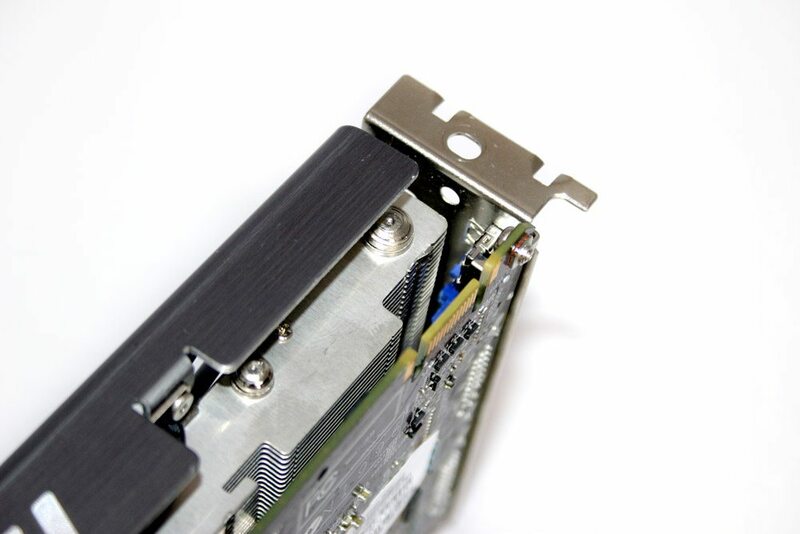 The rear end doesn’t quite have the host of connections you find on some cards, but it does have a pair of DVI and a mini HDMI.